Business intelligence (BI) remains one of the fastest-paced areas in business. Moreover, not only is BI technology changing rapidly, but the techniques that are used to extract value from data are evolving as well. Here are three that are changing the pace of business. Creating a consolidated repository that has everything you want to know about the customer in one place. Even large organizations struggle to find a common method or code to link information across databases or integrate data containing personally identifiable information due to particular legal issues. But with the advent of more advanced technology, particularly cloud-based computing, companies are making progress in consolidating their data more efficiently. For example, with a sizable data warehouse and an effective extract, load, and integrate process, companies can house their data more easily and make it available more quickly. Once a data repository is assembled, the next step is to mine it for actionable insights. There’s a company that wanted to better understand the actions users were taking on its mobile app. TTEC's role was to integrate several disparate sources of data at the customer level and provide certain performance measurement reports and analyses for key decision-makers that would enable the company to continuously enhance the experiences of its customers in an efficient and effective manner. The company needed a way to analyze the data that was being generated from its mobile app in near-real time to assess quickly how the app was being used, who was using it, and how these users were feeling about their experiences. That last part was to be determined from unstructured voice recordings and chat transcripts, as well as in-app surveys that collected customer ratings of their interactions and transactions (think Uber five-star customer ratings). The solution that was eventually developed allowed the company to identify and act on opportunities and risks among its customer base, see who was changing their engagement with the brand, and surface troubling product and customer care issues that could spiral out of control and drive up company costs. Companies generally use three types of analytics: descriptive (analytics that explain what happened); predictive (analytics that predict what will likely happen); and prescriptive (analytics that advise companies on what to do). Now companies are increasingly exploring a fourth category—automated analytics. Automated analytics also contribute to the growth of self-service analytics, meaning analytics that are not performed by third parties. By 2017, most data discovery tools will have incorporated smart data discovery capabilities to expand the reach of interactive analysis, predicts Gartner. In other words, as capabilities like pattern detection become more common in data discovery tools, we can expect to see these capabilities included in self-service data preparation tools, making data analysis accessible to a broader range of business users. The rise of automated analytics is a result of there being too much data to analyze and not enough analysts to do it. This isn’t a surprise, but we’re seeing firms starting to prioritize analytical automation and the ability to get and use insights in real time or as close to it as possible. Automated analytics affect the customer experience by performing services, such as approving credit card applications or flagging a fraudulent sale, faster than it would take a human to do the same tasks. Part of the benefits behind automated and self-service analytics, of course, is that they allow companies to reduce the number of people needed to generate reports, build and maintain quantitative models, and trigger customer-specific actions. And while it’s understandable that companies want to reduce their relationships with outside analytics suppliers and other third parties, my advice to companies making investments in automated analytics is to work initially with a partner that has the experience to share a lot of best practices. You want a partner that you can learn from, rather than make mistakes that an experienced partner would have helped you avoid. Like this? 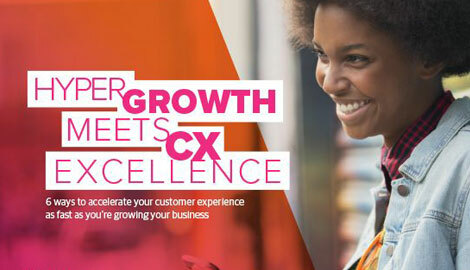 Subscribe to our customer experience blog here. Also, check out the most recent issue of our monthly customer experience eNewsletter, Dialogue.